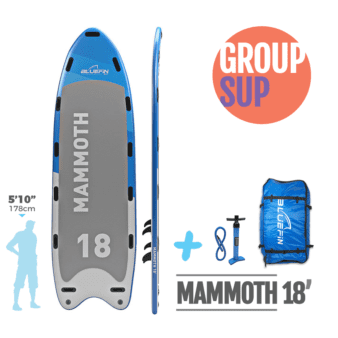 Did you know that springtime and summertime are, officially, SUP time? 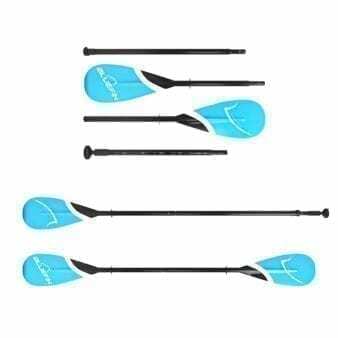 Smooth waters and clear blue skies are also perfect conditions for Bluefin’s latest Stand Up Paddle Board Deals. The longer, sunny days can become everyone’s playground. These great discounts are just as inviting. Limited units available. Are you fast enough? 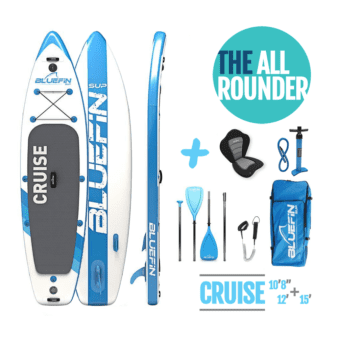 If you are planning on equipping yourself with the most versatile, all-inclusive SUP package on the market, Bluefin’s got you covered. Our trademark design, plus high-quality materials and the signature Exo Surface Laminate feature for extended durability, now at an unbelievable price. These deals are a unique opportunity to get off to a great start this season. 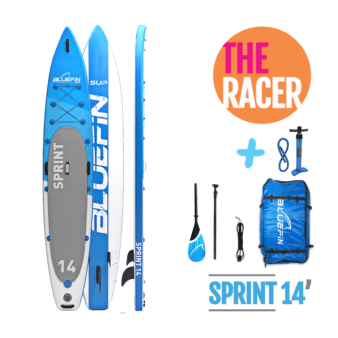 Find out which Bluefin iSUP would suit you best and save up on a complete deal, including all the performance features and accessories you could desire. Get ready for the awesomeness.